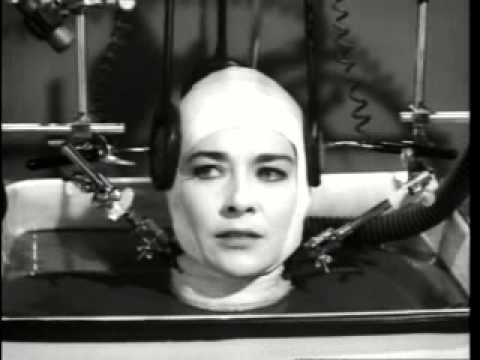 The Brain That Wouldn’t Die, also known as The Head That Wouldn’t Die, is a 1959 science-fiction/horror film directed by Joseph Green and written by Green and Rex Carlton. The film was completed in 1959 under the title The Black Door but was not released until May 3, 1962, when it was renamed. The main plot focuses upon a mad doctor who develops a means to keep human body parts alive. He must eventually use his discovery on someone close to him, and chaos ensues.